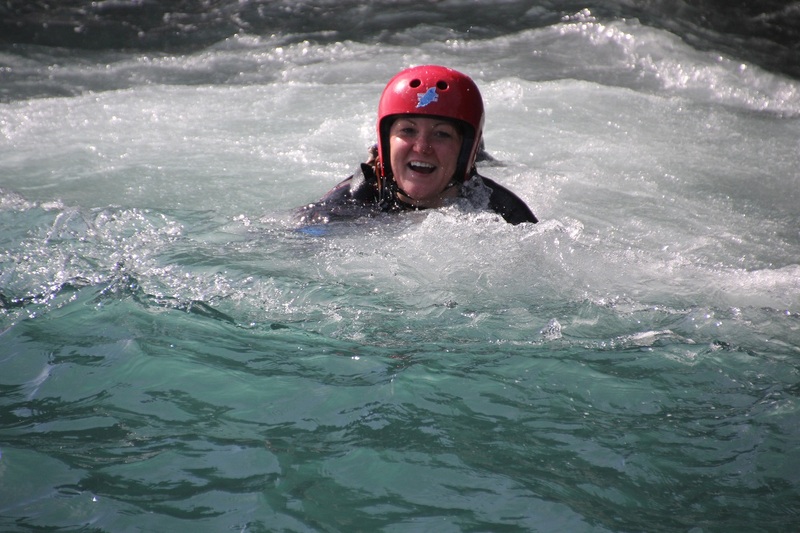 April's adventures - the summer! 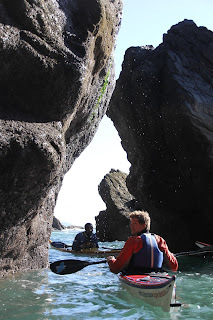 Saturday was a superbly busy and sunny day in and on the water. 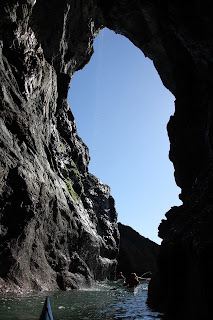 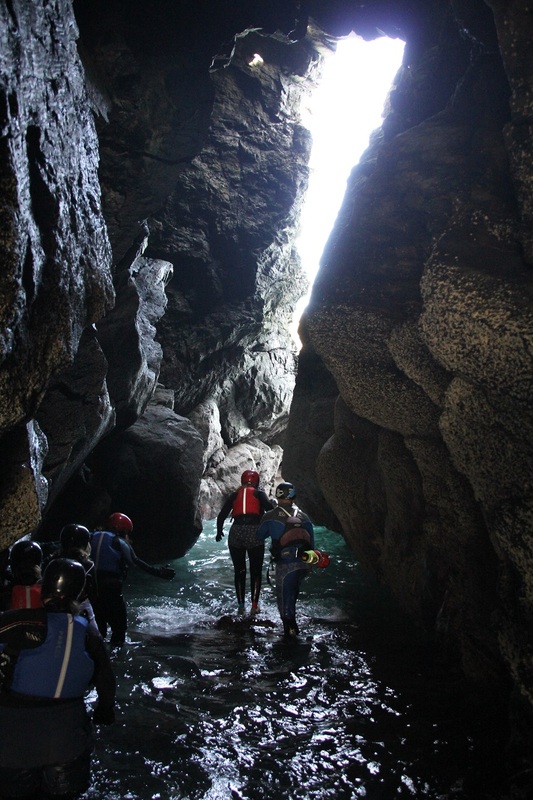 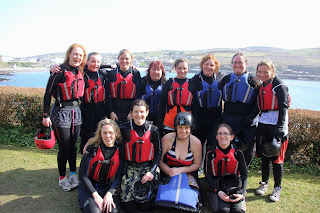 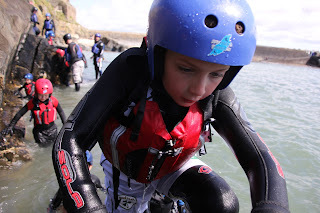 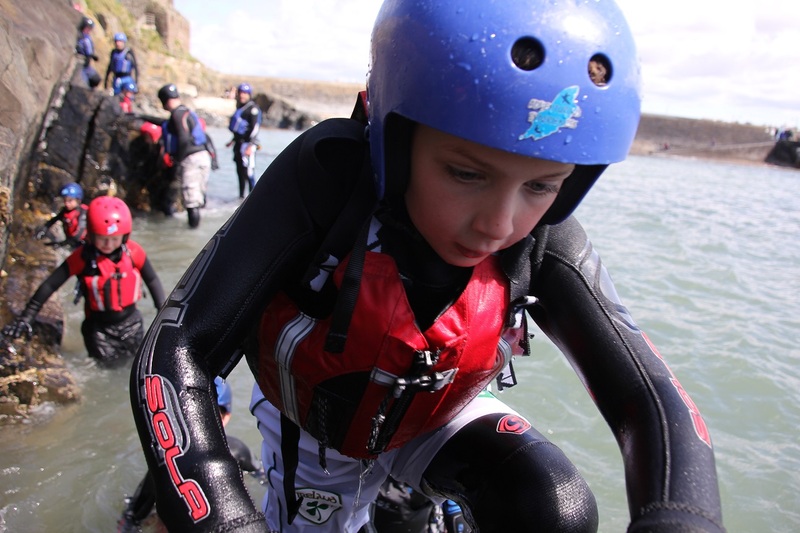 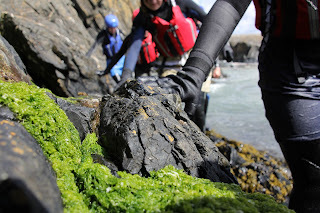 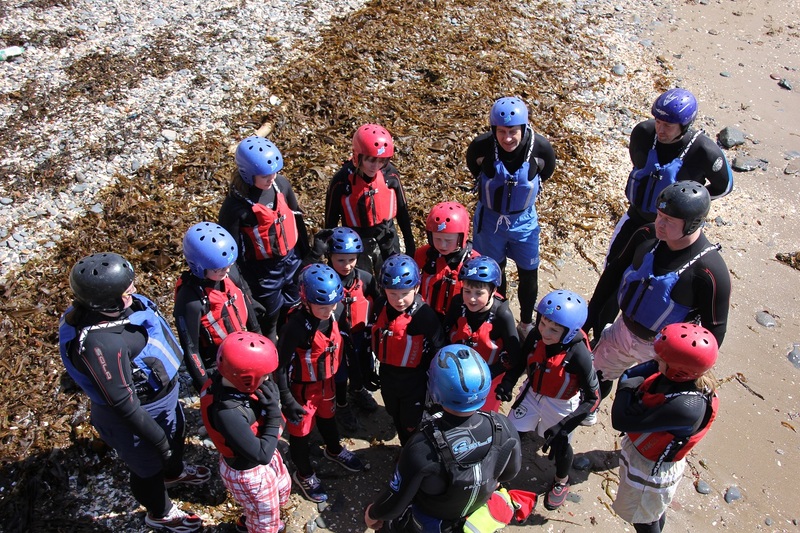 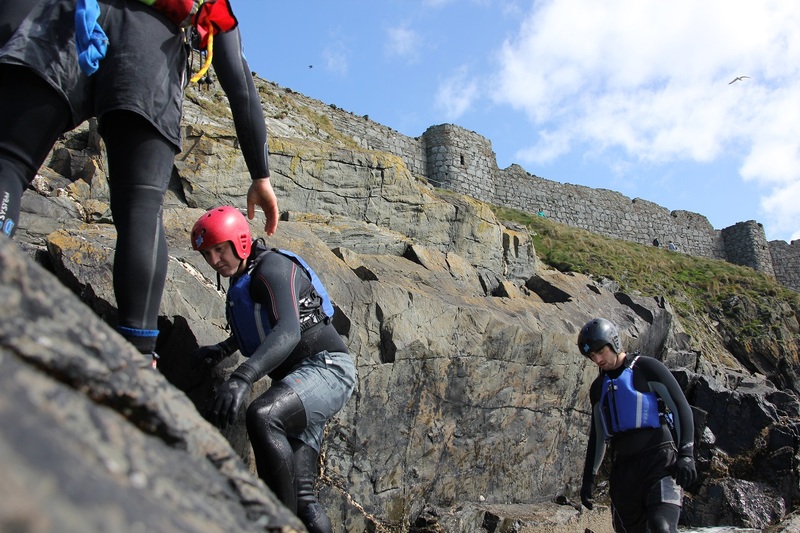 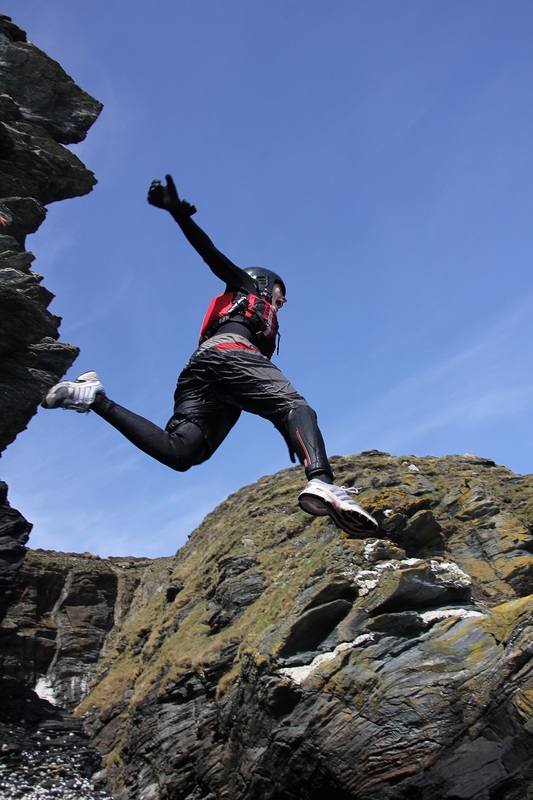 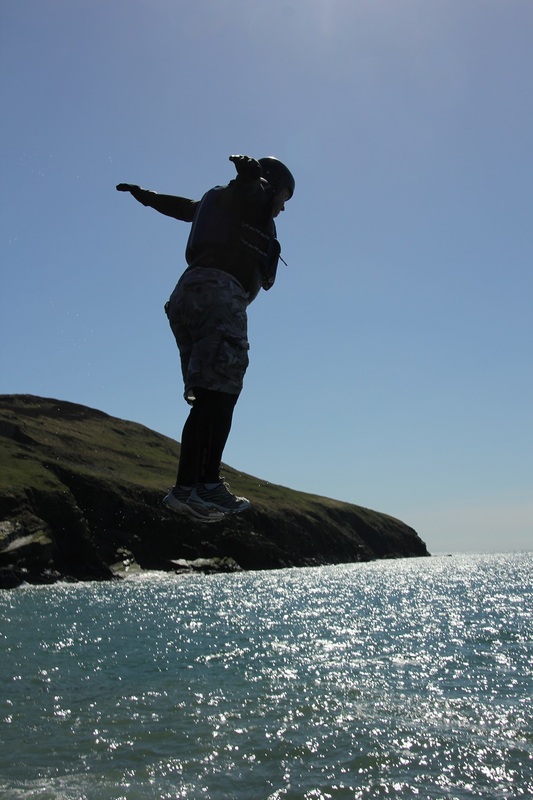 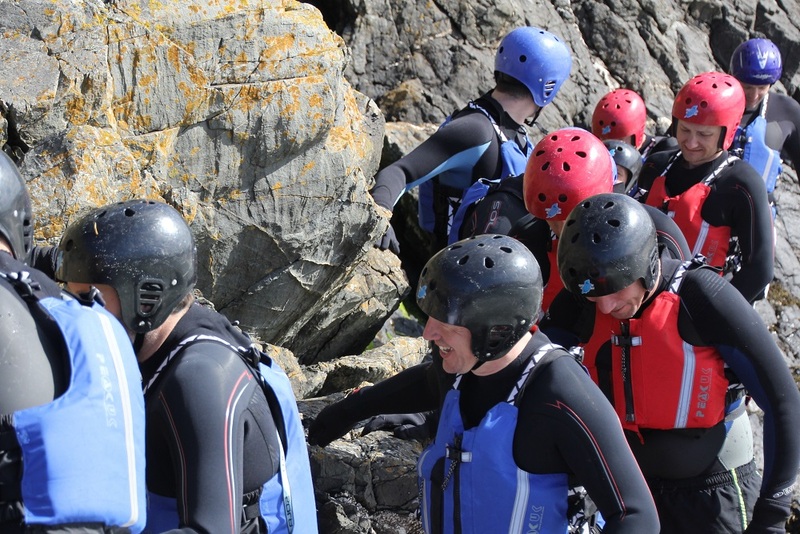 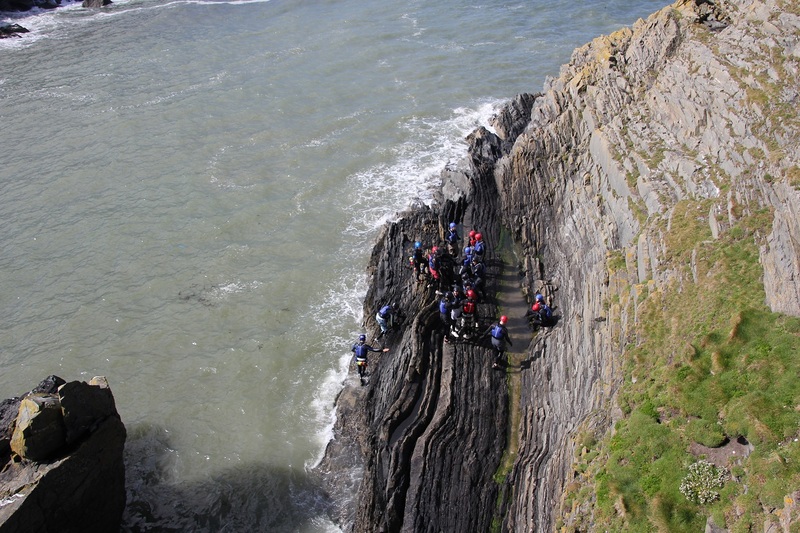 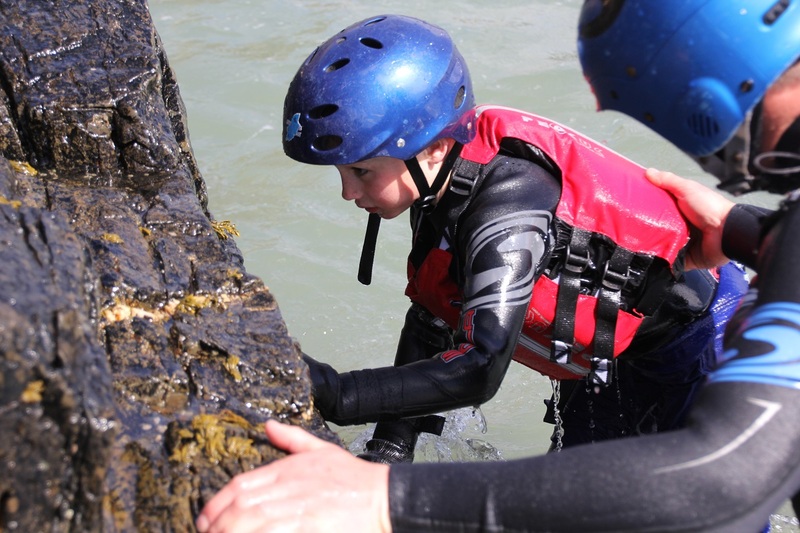 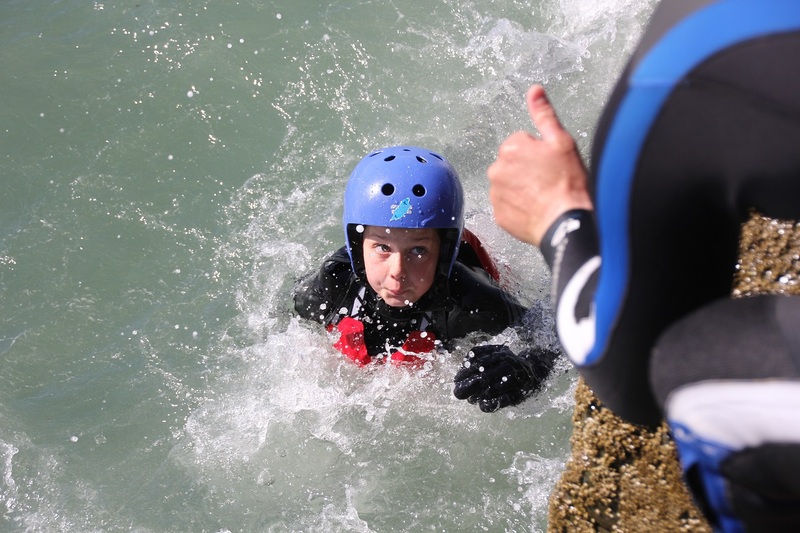 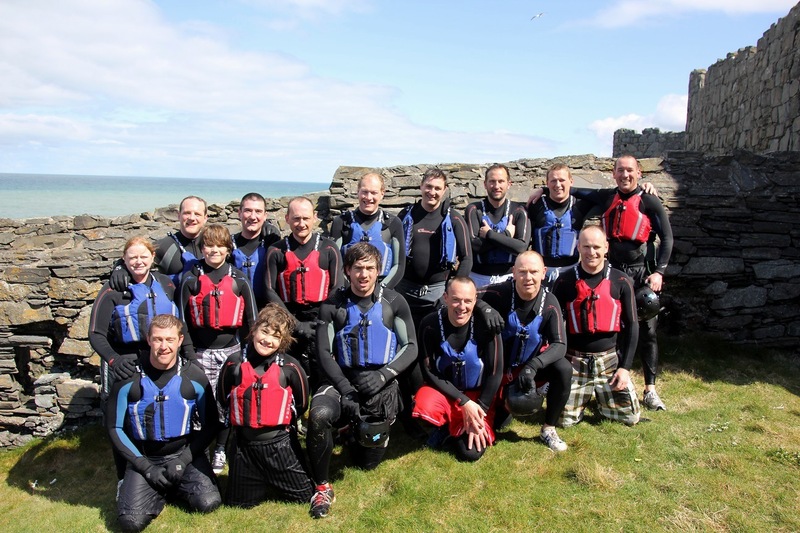 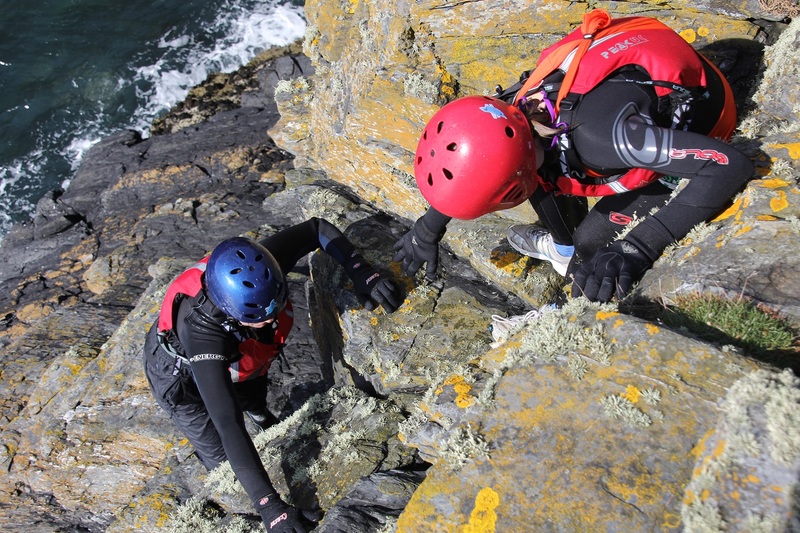 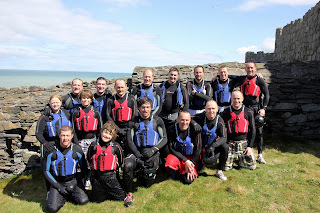 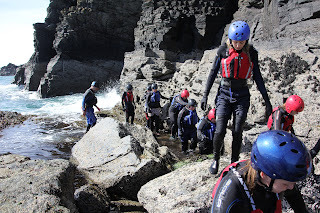 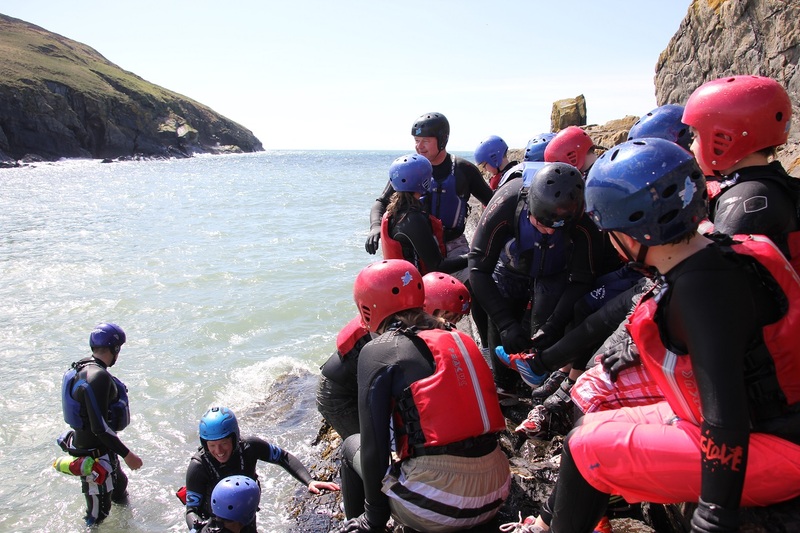 The morning Coasteering adventure around Peel Castle enjoyed a fun 'warm-up' in the sheltered section of the route, practising moving through the rock and water environment. Jack's Coasteering Birthday Party - also met up at Ballabrooie to kit up and the headed to Peel for an afternoon in the sun! 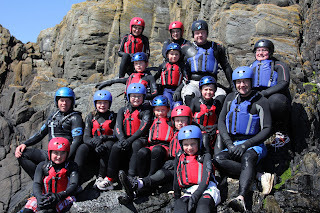 for both children and adults in the party!! 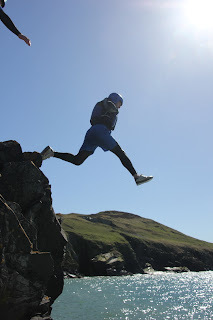 Finishing back beneath Peel castle. 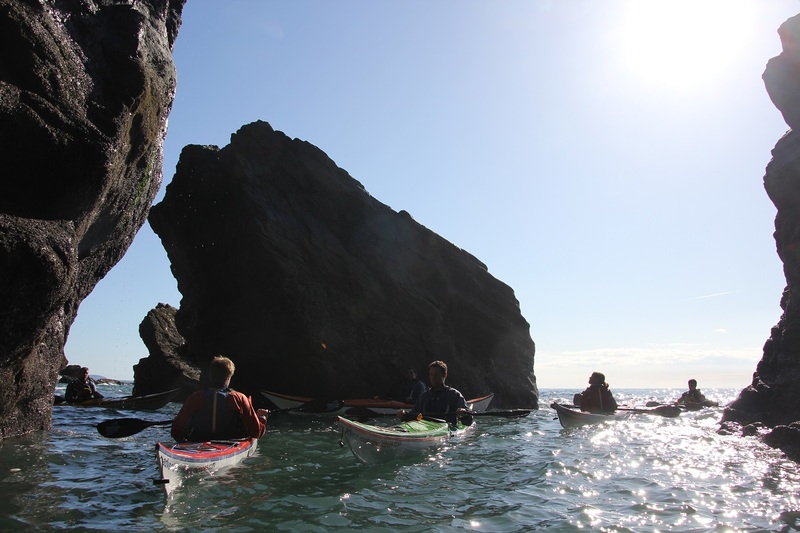 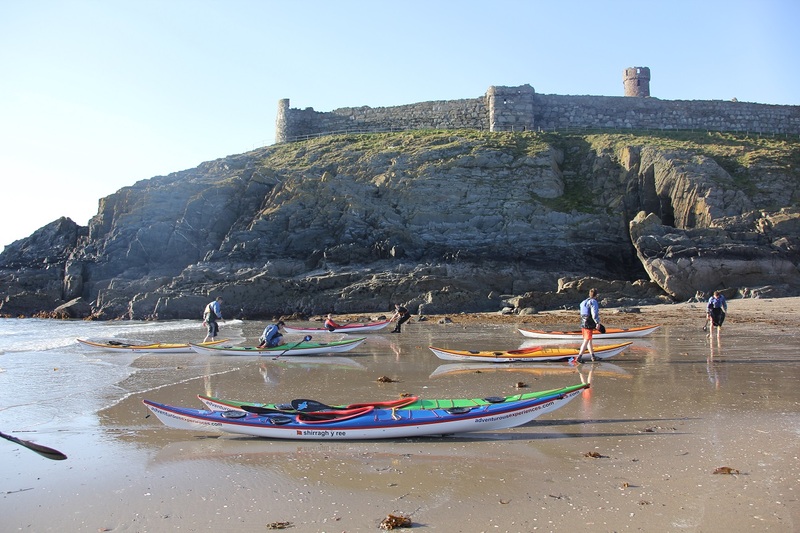 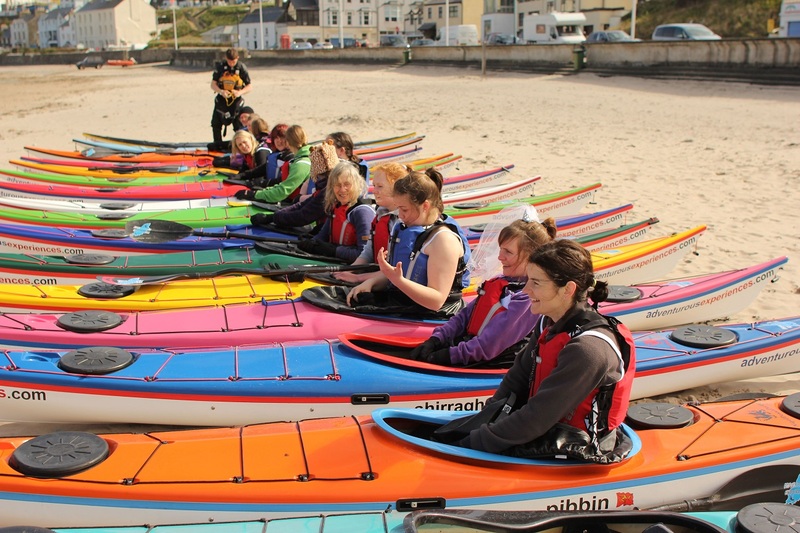 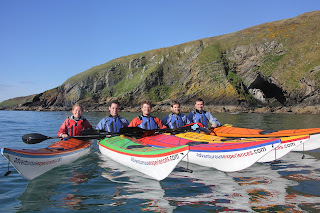 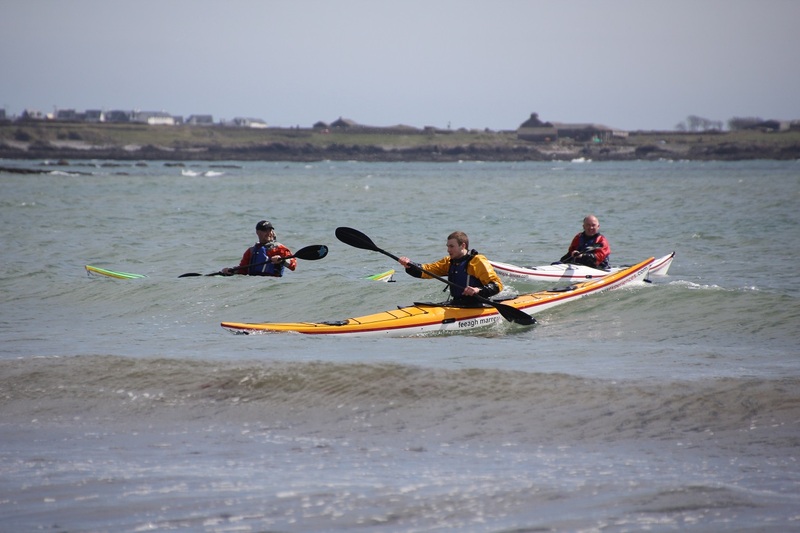 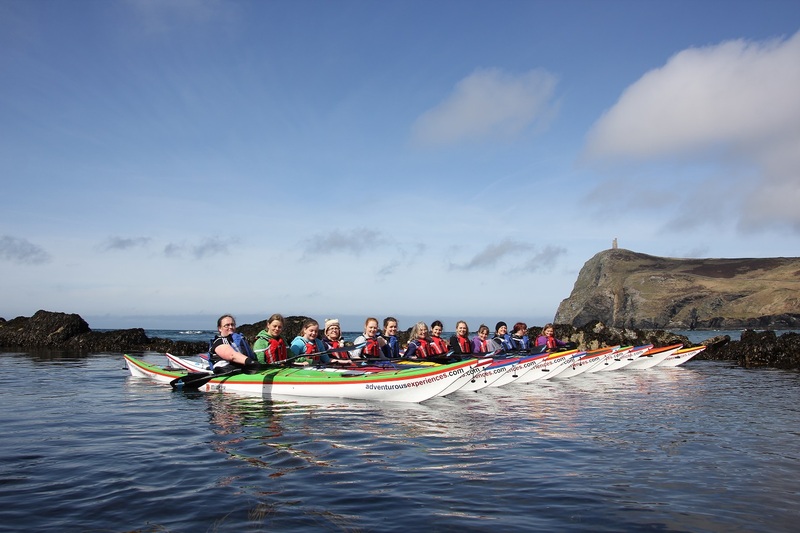 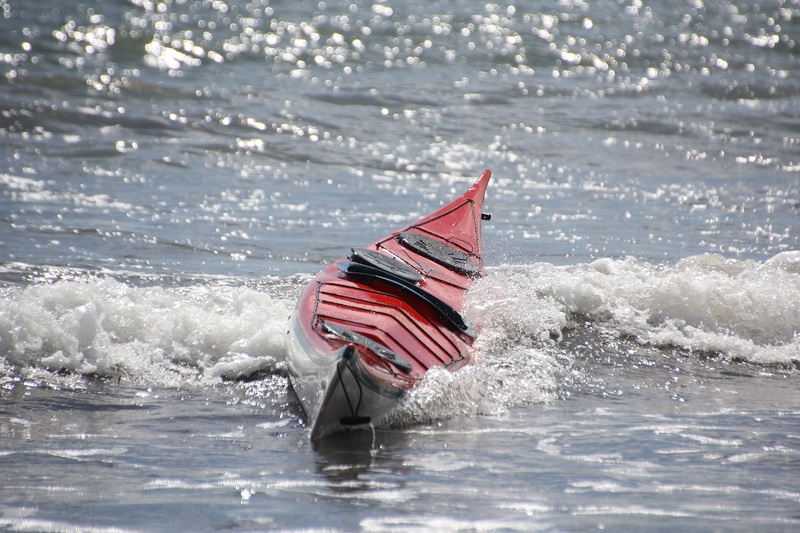 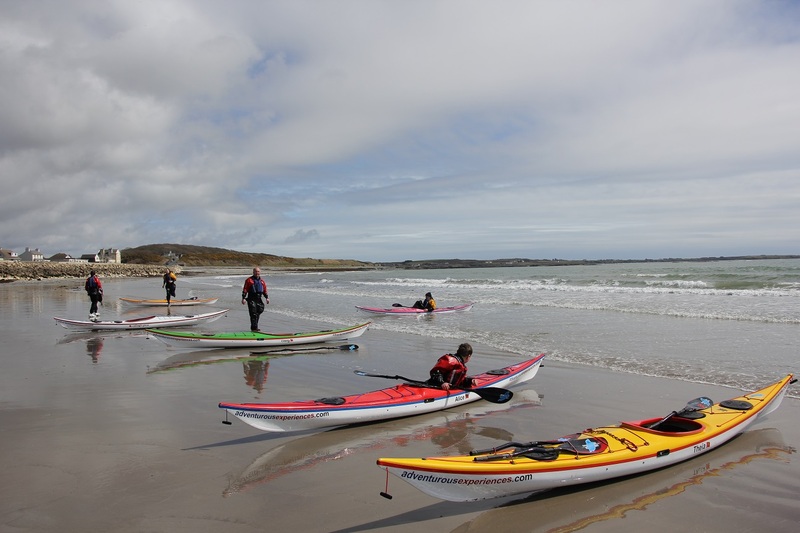 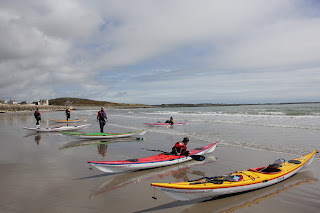 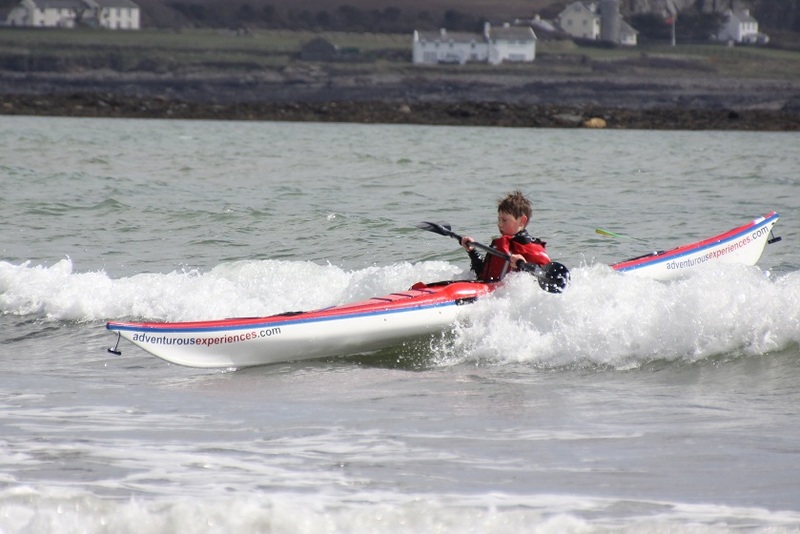 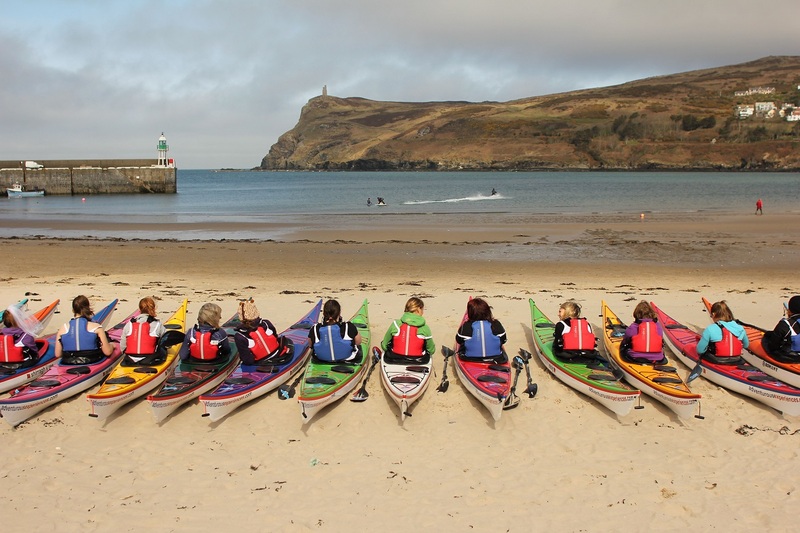 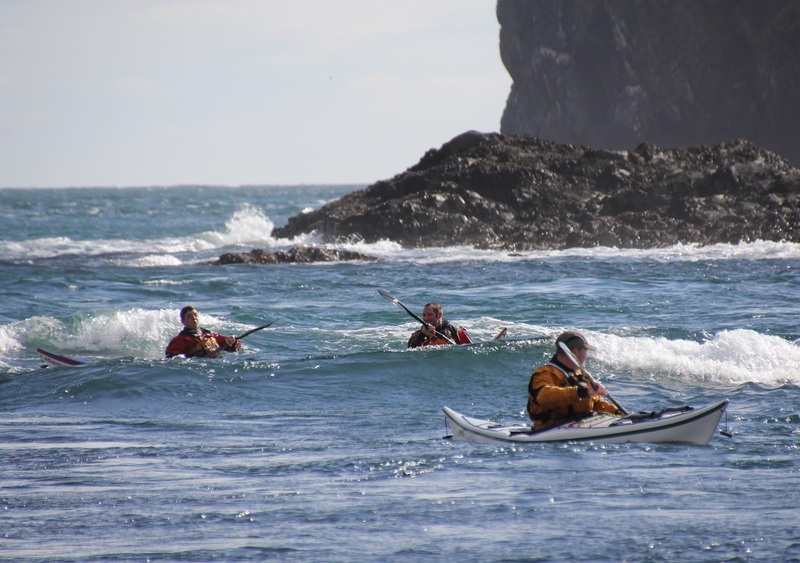 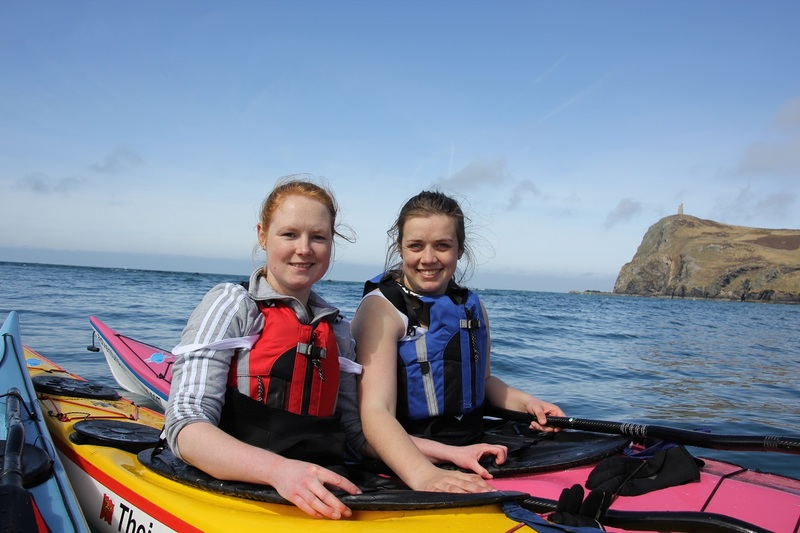 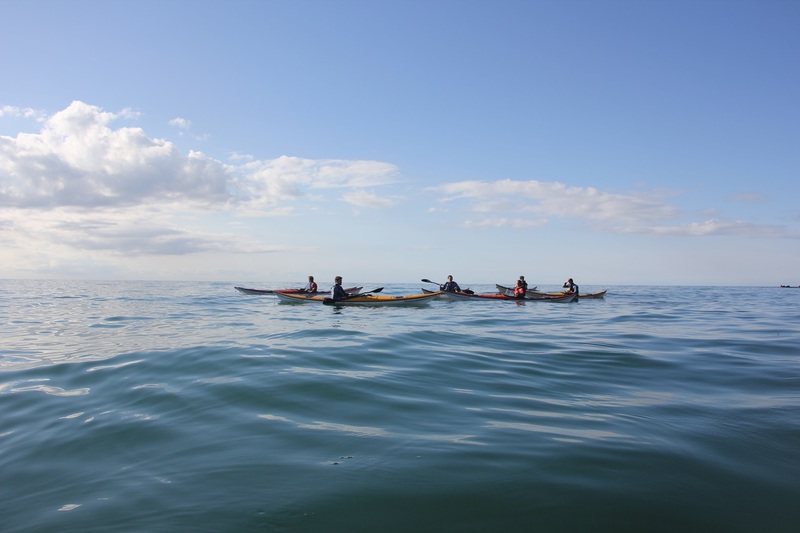 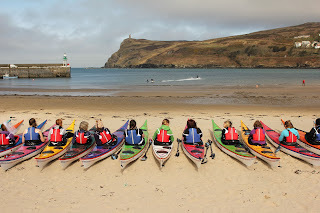 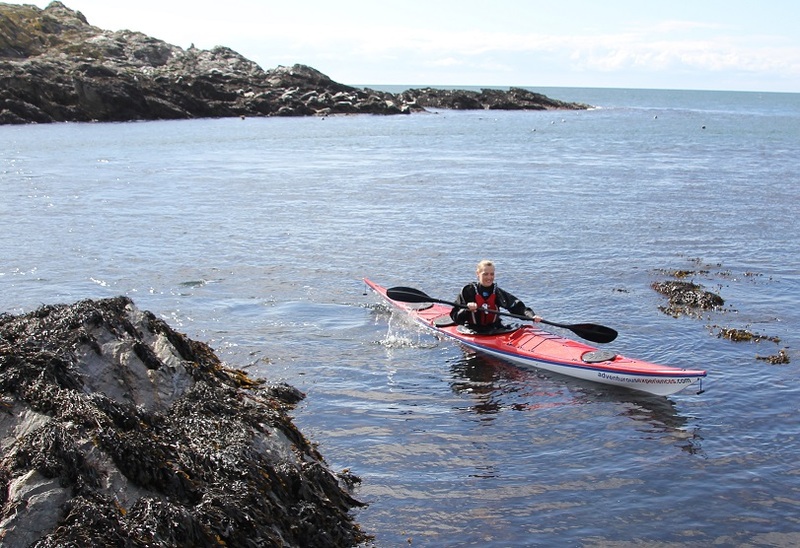 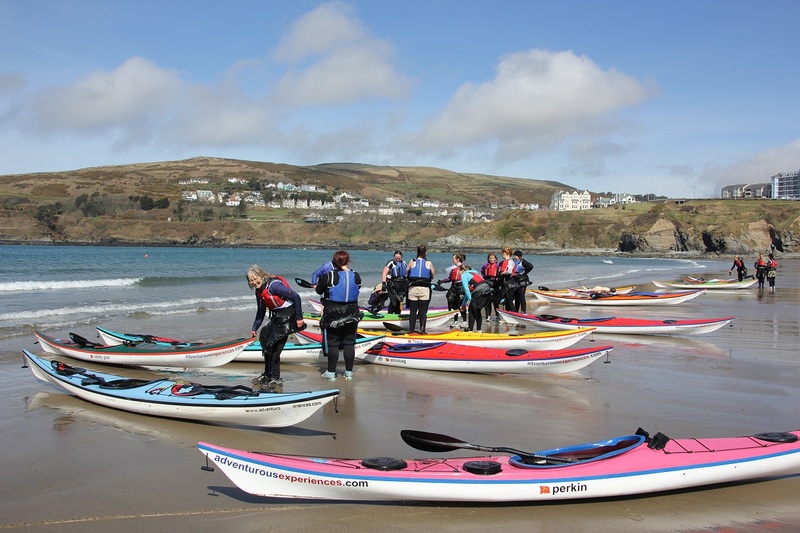 Sunday's sea kayak training sessions ran from Port Erin, the morning beginners following on from last weeks fundamentals and beginners surf, some real improvements in confidence and performance. 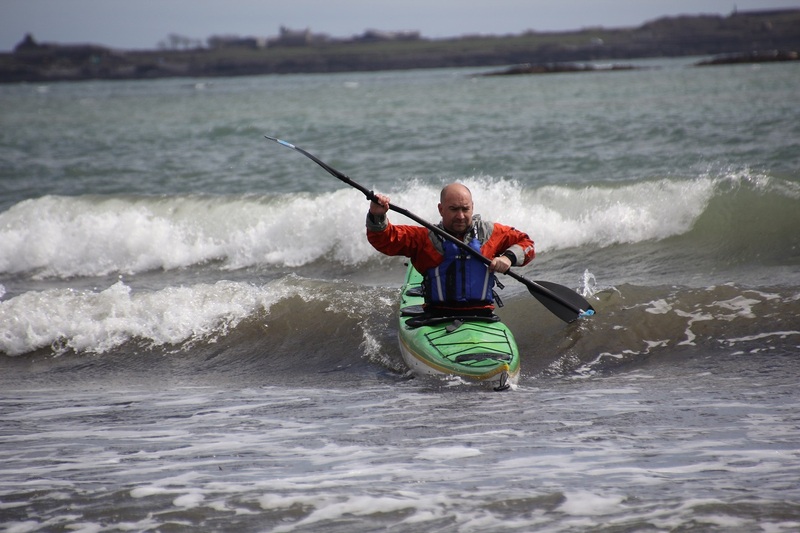 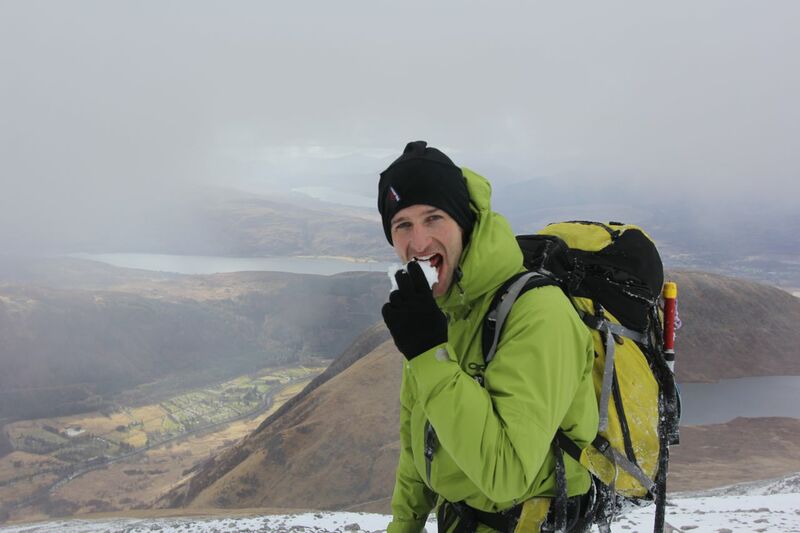 Ian again led the Improver's session, focussing on individual balance, manoeuvring and control. The afternoon session headed to the Calf Sound to play in the spring tide flows, and run through our core Intermediate training, opportunity to bring in the previous weeks of progressive personal skill development. 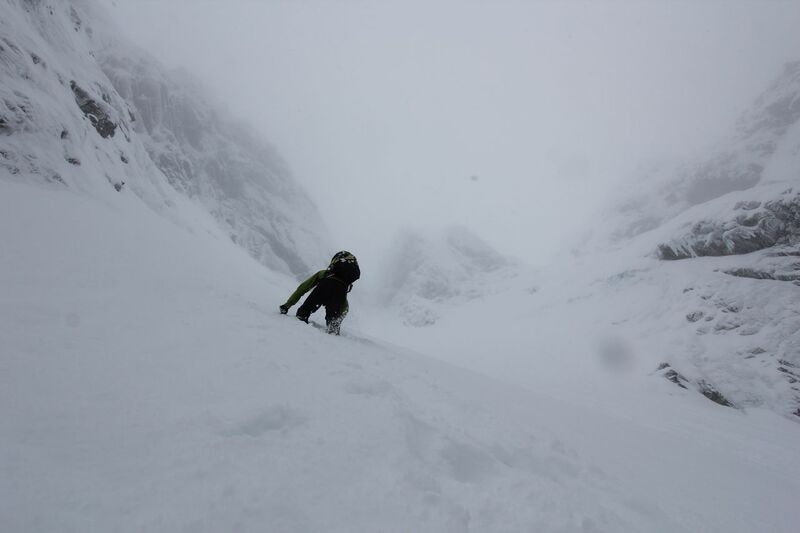 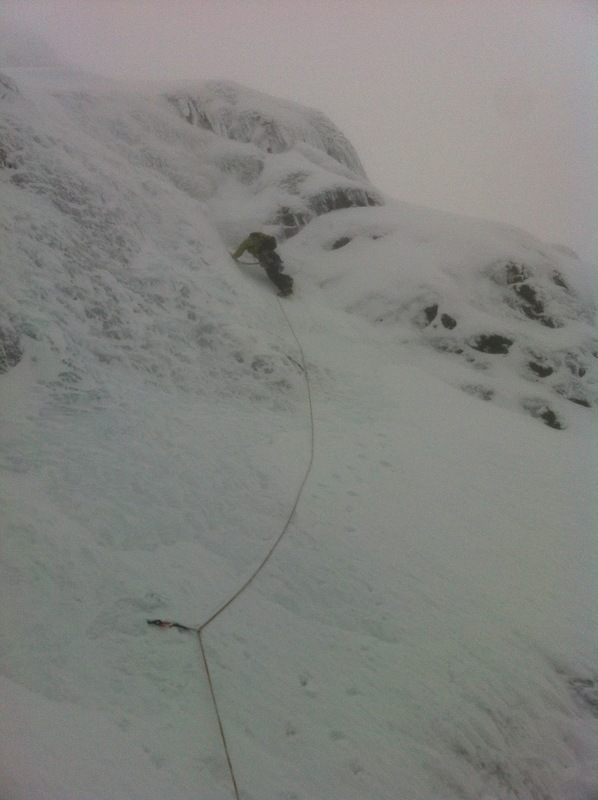 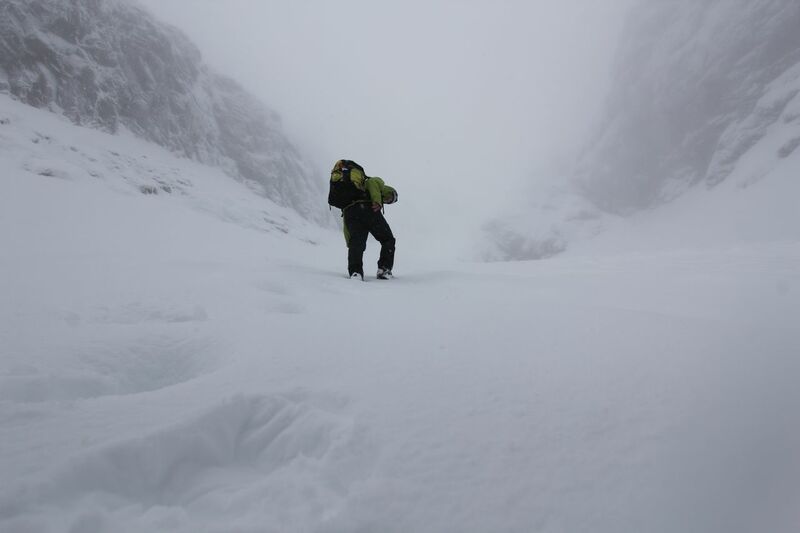 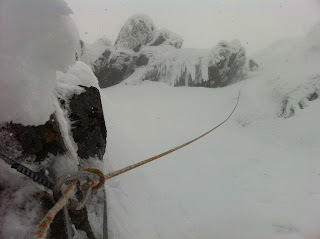 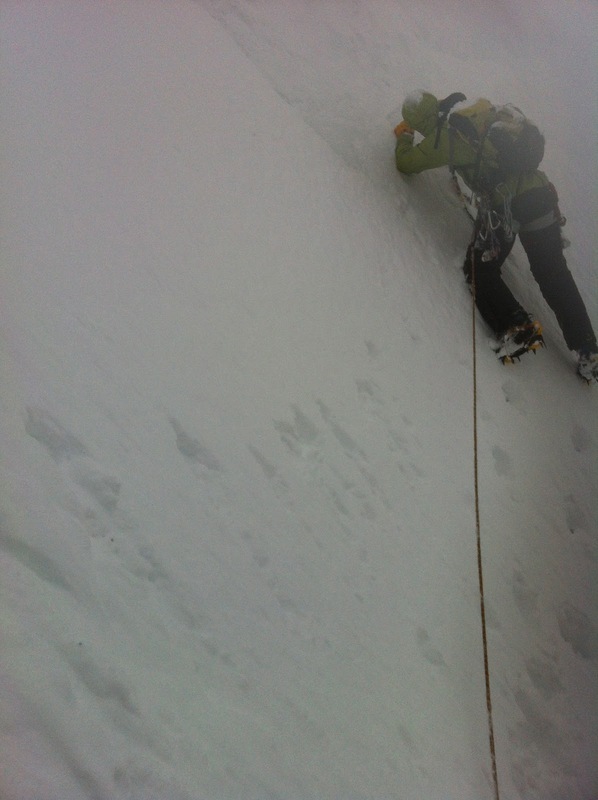 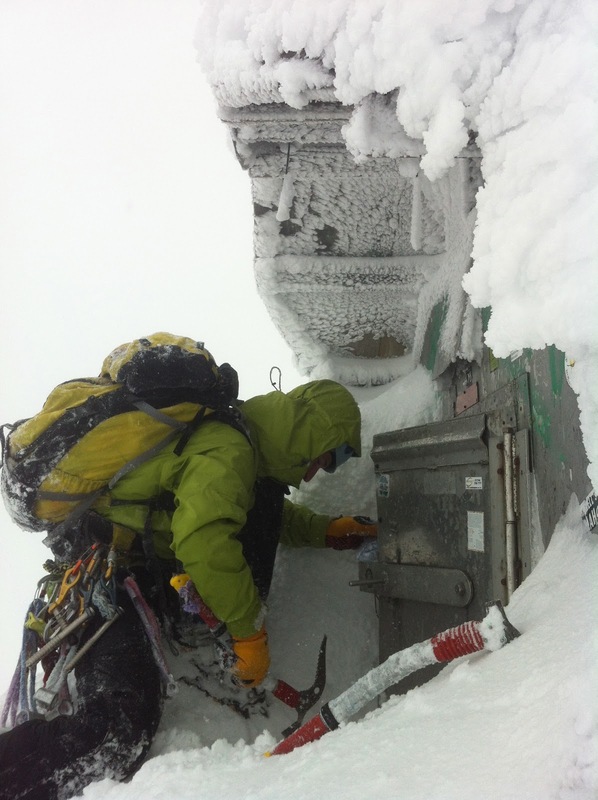 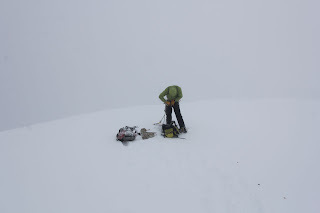 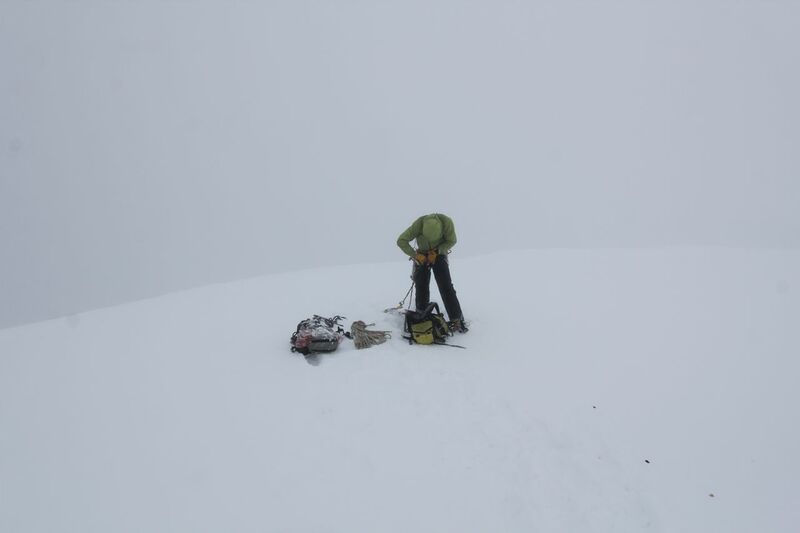 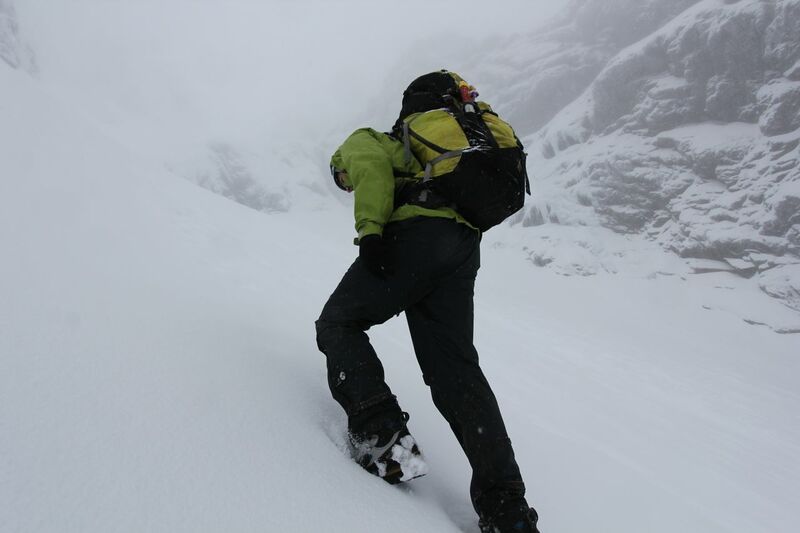 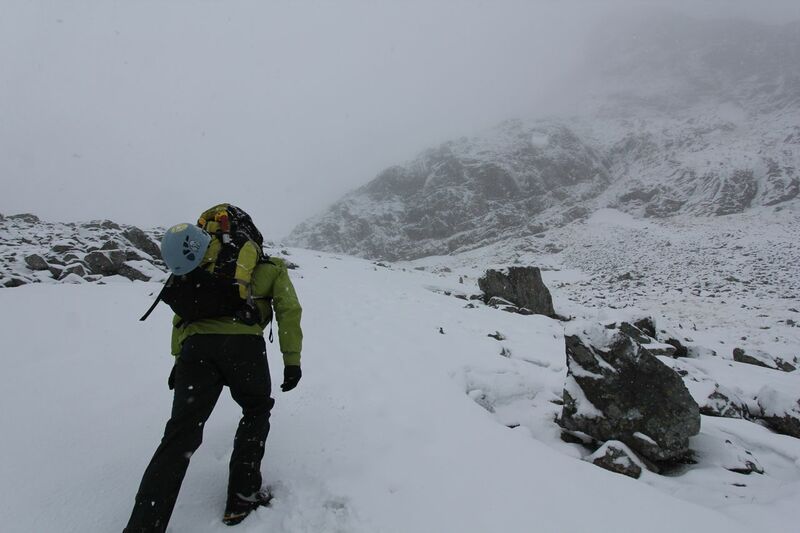 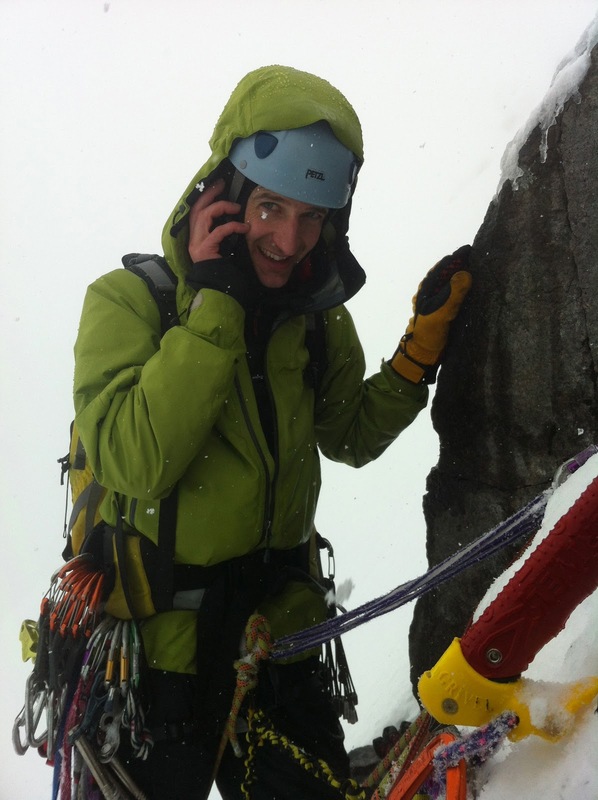 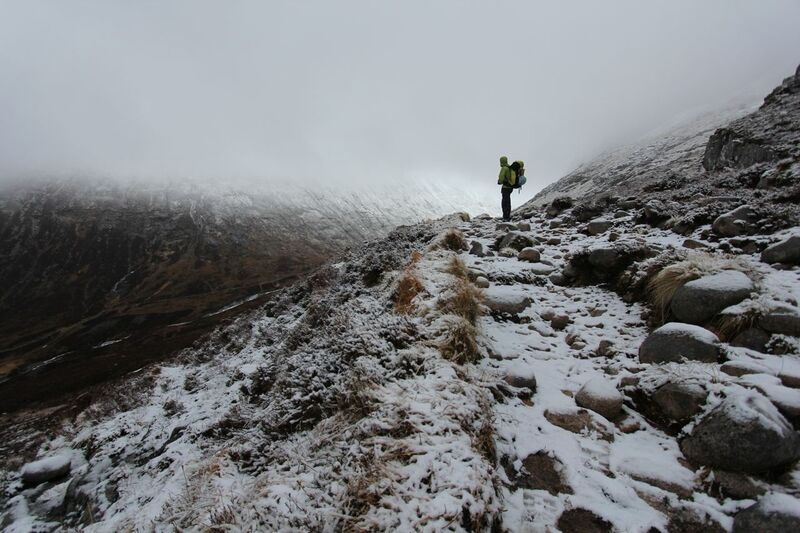 ...a constant downpour of spindrift, like grain from a silo (with occasional harder bits in), blown off the top by the strong SW wind, and a delightful cornice to make the summit even more rewarding! 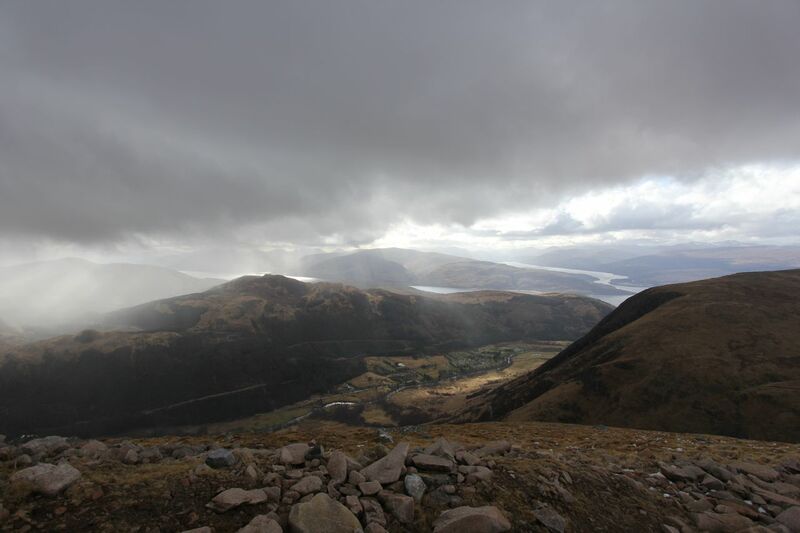 As we dropped rapidly, the flat light changed and what a stunning view!! 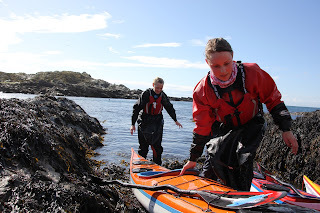 Back at the hostel by 7pm, a phenomenal day! ...working in 3 groups, with Ian taking one, John taking another, and Kim and me taking another. 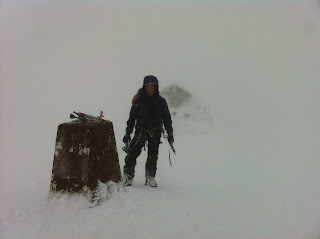 I kept sending him weather updates... wishing I could say it was going to to improve...He'll have some stories to tell!!! 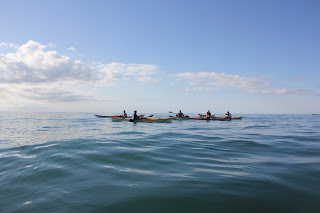 See you all again on the water this summer!